"Slim Line" Series. More compact than the standard models. Solid State electronically regulated. Feature fold-back current limiting to protect the power supply from excessive current or shorted output. Chassis mounted fuse. Less than 5 mv ripple peak to peak (full load and low line). 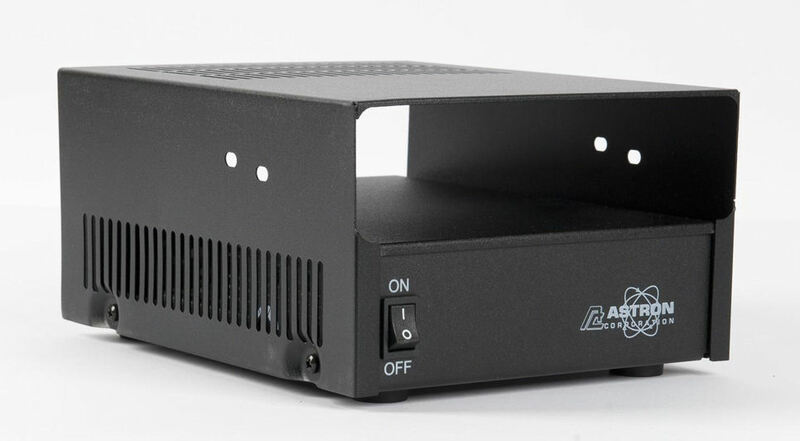 Astron linear power supplies are heavy duty and solid state electronically regulated.